The Blackheart Beauty Tin Smokey Eye Shadow Palette is $12 (but often Hot Topic has a 25% off sale) but do not let the low price scare you away. 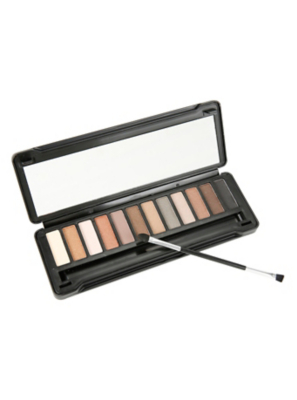 The colors blend well, are nicely pigmented, the shimmers are not cheap looking and the mattes are not chalky. I have been using these colors a lot lately - reaching for this palette over ones I have that cost triple this price point. The shadows in this and other collections (from what I read online and ingredient lists) are vegan. Pro tip: use a good brush to apply these and not the dinky one it comes with.